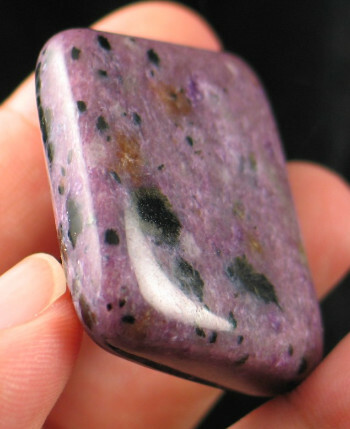 This is a lovely rectangular piece. 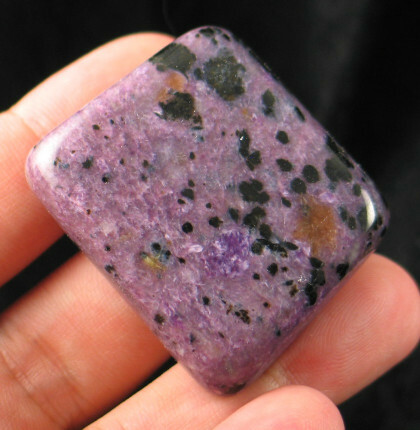 It is slim enough for a pocket, but also a nice size to make a lovely pendant or bracelet! 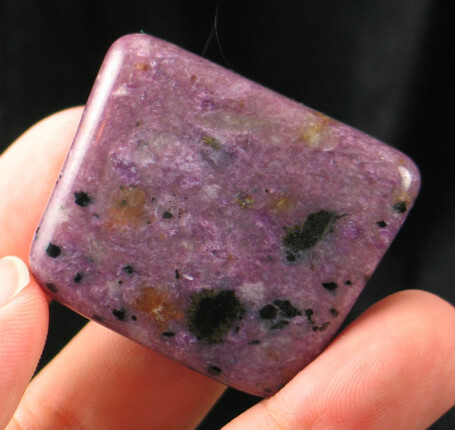 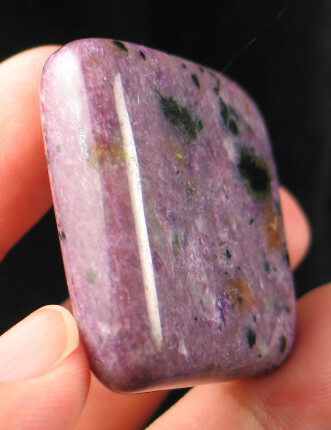 These charoite freeforms are lovely pieces that are a good palm-size. 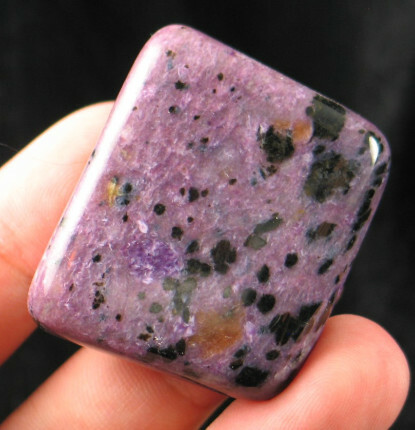 They are ideal for personal pocket pieces or to use in healing sessions.